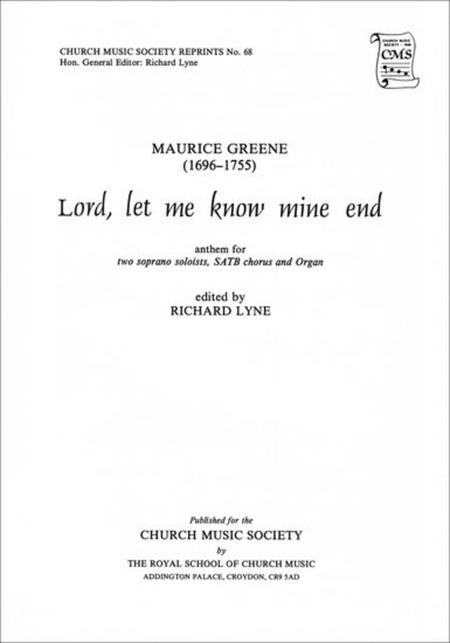 Composed by Maurice Greene. Edited by Richard Lyne. Mixed Voices. 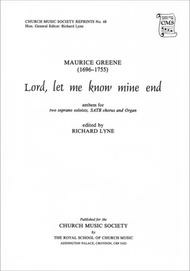 Church Music Society Publications. Sacred, Choral Leaflet. Vocal score. Duration 5'. Oxford University Press #9780193953321. Published by Oxford University Press (OU.9780193953321). For SS soloists, SATB chorus, and organ or strings.